Living in Houston, a fast paced, sprawling, big city, it’s easy to forget about other parts of Texas that really characterize what this state is all about. This time of year is especially good for doing a little exploring. 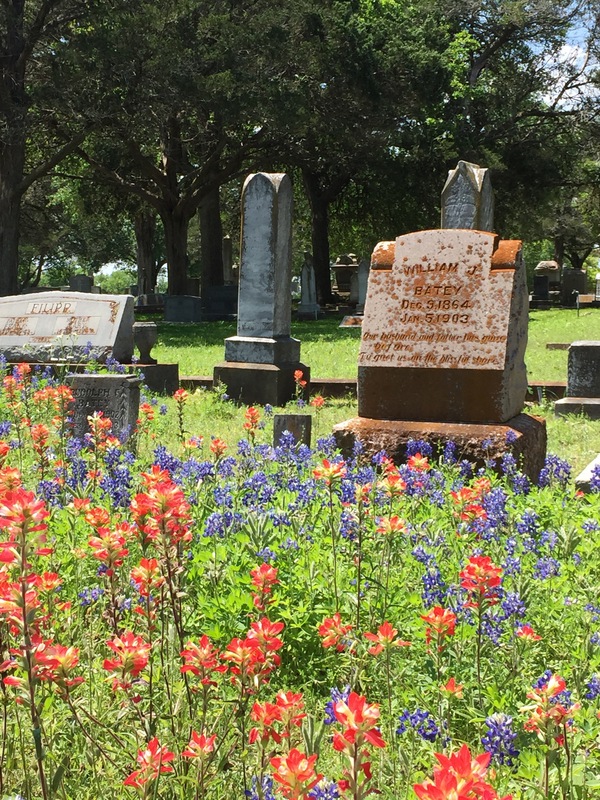 It takes about an hour to get away from city sights and sounds and start noticing fields of bluebonnets, Indian paints and other wildflowers blooming along the road. 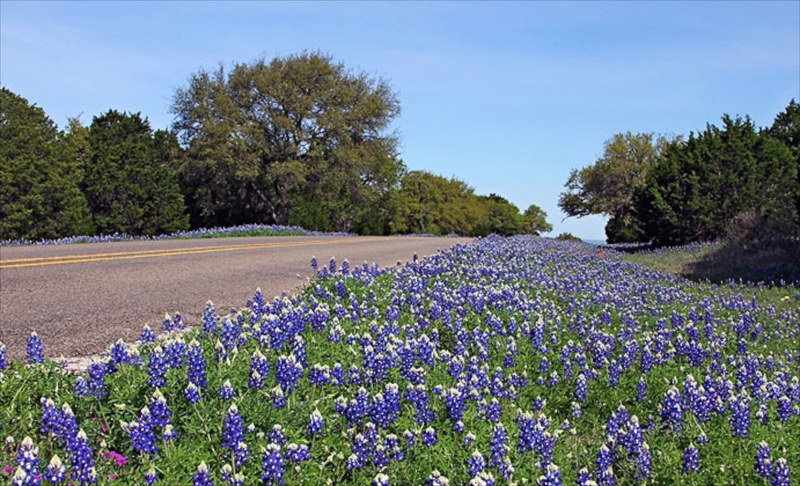 We Texans can thank Lady Bird Johnson for thinking that Texas highways would be a lot prettier seeded with wildflowers. How right she was! Lovely though the highways are, it’s not until you get on the back roads that it’s possible to stop and enjoy the magic. or a tiny bug using a petal as a bed are such simple pleasures. or here and there a solitary bloom reaching for the sun. My favorite field of blooms? Right here, wild and untamed. Taking time away from the city opens my eyes to a new sights that bring smiles. Won’t you come with me again to do a little more exploring? 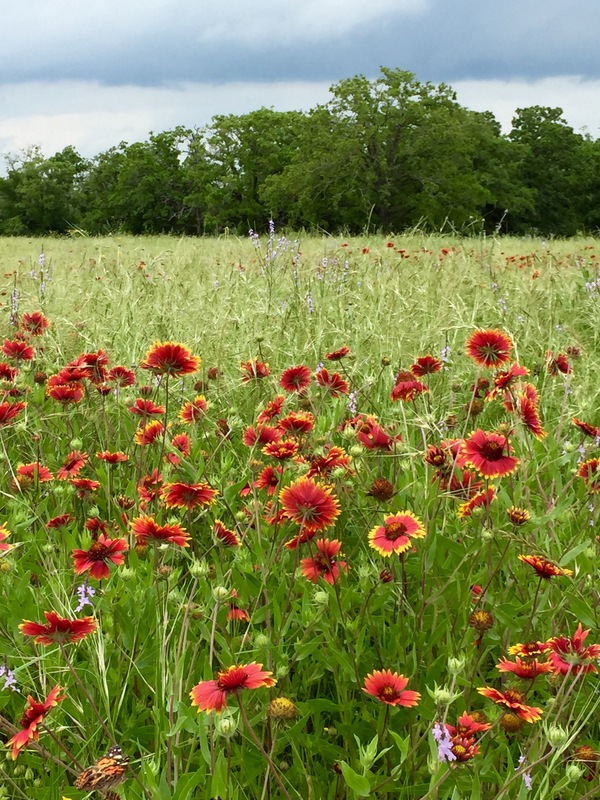 I don’t think of Texas as a place with fields of wildflowers. I really need to get out there some day! Pretty post Lulu! Texas is alive with blooms right now! Texas wildflowers are the best. They pop up all over the place. THANK YOU Linda and Lady Bird!!!! Can you guess that I made a few stops on the way home? That is good news. It’s time. 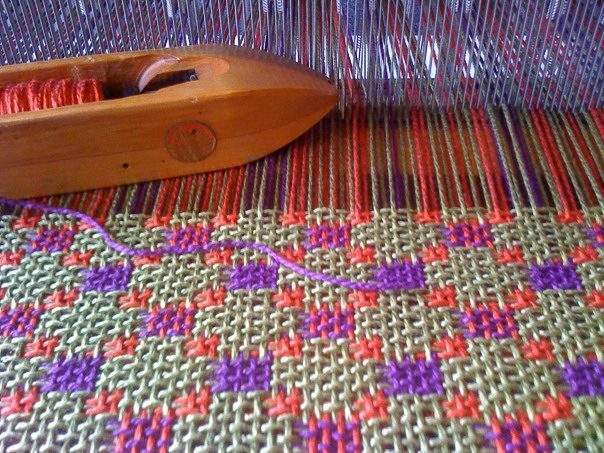 Well you and I are on the same path this week with our blog posts. The wildflowers are just beautiful aren’t they? We are so lucky to live in Texas! Absolutely beautiful photos…spring is definitely my favorite season! Mother Nature is quite the artist isn’t she? None better than Mother Nature! Love this message!! Can’t wait to see you in Maine!!! This is definitely my kind of exploring. The landscape is so beautiful in the Spring. Glad you could get away from the city to explore. Have a great week. Thanks,Ellen. I so enjoy the back roads. Beautiful! My kids have the storybook in Lady Bird Johnson and the windflowers. What a gift she gave people! Linda, these are so lovely, thank you for sharing them. So beautiful, Linda. Thank you for sharing. We are still waiting for spring up in Maine. Beautiful wildflowers, thank you Lady Bird! I so remember how gorgeous Texas is in the Spring…Hopefully I can get your way this year! Previous You Want It? You Got It!